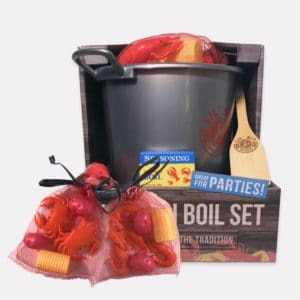 Get your budding chef a crawfish boil toy set to play with alongside you while you boil, or while they master their unique cooking techniques wherever they live! 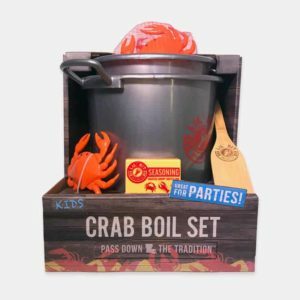 Perfect for birthdays, kids parties, gifts for relatives and friends both in and outside of the South, wedding favors, and company events. 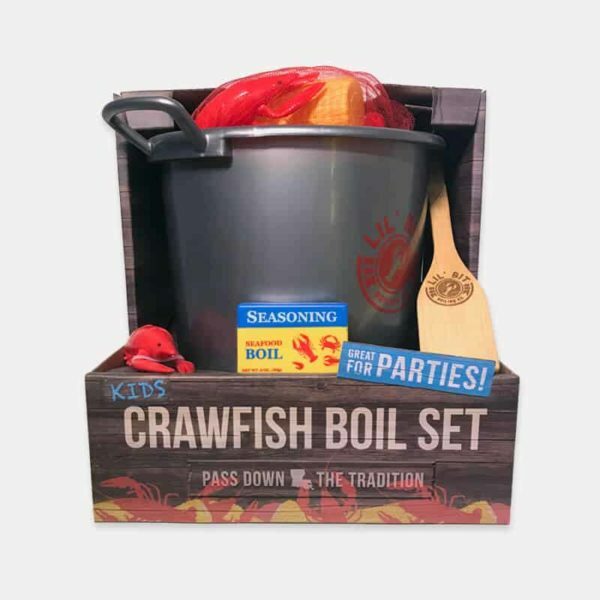 Includes 11″ tall crawfish boiling pot, strainer, laser engraved wooden paddle, 7 crawfish, 2 potatoes, 1 corn, and one seasoning box. 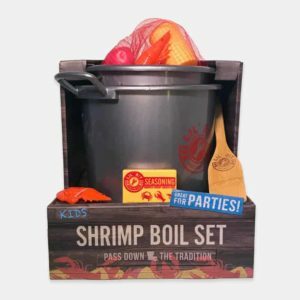 Save 33% on Essential Accessories with this purchase!